Last month, I asked the question “What is leisure?” in my October 10 post. We know that the concept of leisure can have a multitude of meanings, from free time from obligations, spare time, non-work, etc. Leisure has three important functions: relaxation, entertainment and personal development. A form of leisure that many people find themselves enjoying is “serious leisure.” This is the systematic pursuit of deep satisfaction through an amateur, hobbyist, or volunteer activity that participants find so substantial and interesting that, in the typical case, they launch themselves on a (non-work) career centered on acquiring and expressing its special skills, knowledge, and experience. Serious leisure is further defined by its six distinguishing qualities: perseverance, sense of (non-work) career, substantial personal effort, durable benefits, ethos and social world, and personal and social identity (Stebbins, 1992). Gosh, this sounds a lot like blogging! What exactly is blogging? The word “blog” originated as web log or weblog, a journal of personal reflections, opinions, experiences and comments written online. According to sources, the first blog was published in 1999. Blogging allows people to express themselves in writing while allowing people to interact with each other. It is used in a variety of ways, whether to create content for business, practice and publish a variety of works, or just keep a journal of thoughts via a structured Internet site. Bloggers now know that creating and maintaining a successful blog is very similar to this notion of serious leisure. What may start out as a simple wish to write and post stories and thoughts, can end up involving a lot of time, whether to change the look of the blog website, or research and create thoughtful content for readers. Many bloggers spend 2-4 hours (or more!) per day just for the care and feeding of their “fun” blog. For me, the desire to start my blog came from my idea to write about my professional experiences on some particular subjects. It was hard work and so inconsistent that I almost gave up. Luckily I stumbled upon the WordPress Blogging 101 challenge in September and I retooled and refocused my blog to what it is now. Writing this blog now takes a surprising amount of time, but it is fun and fits almost into the serious leisure category. You decide if your blog is a leisure pastime or work. Even if it combines both elements, if it is enjoyable and satisfies you in some way, then blogging is a form of leisure for you. If it takes a lot of your time and you still love it, then welcome to blogging as serious leisure! References: Stebbins, R. A. (1992). Amateurs, professionals and serious leisure. Montreal, QC: McGill-Queen’s University Press. Hi Terri I want mine to be leisure but it is so time consuming and I know that is my fault. I believe in doing everything at 110% so even though it is for me I still want it to look and sound professional. Thank you for some sound advice and linking up with us at #WednesdaysWisdom. I think that’s what happens to all of us. There can be so much to do that the writing suffers. That’s also why I stopped the Leisure link. If I restart it I would need a cohost. I appreciate everything you do with your link ups, Sue! I think mine is just leisure because I have a lot more free time nowadays and using some of it on my blog doesn’t feel like work at all. That is good to hear. I think that’s how it should be. WE live in Pembrokeshire, Terri – my husband takes wonderful photos of the coast etc. but is soooo precious about them, I have to wait until he goes out to upload them. You’ve given me an idea – thank you.. Thank you Judith! I round out my blog with photography challenges. It is hard to write every single day but I try! 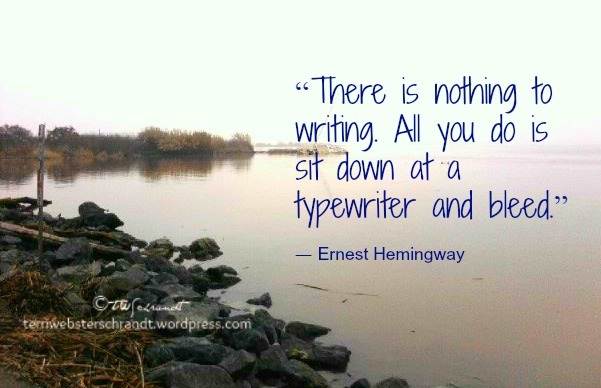 I blog for leisure; and it has helped me in my writing career. Thank you!! Since I retired in December, I post a blog a day, even if it’s just a photo. It’s very hard work and I just signed up for Writing 101. I must be a glutton for punishment 🙂 Thank you for taking the time to read my post! My passion is leisure education and this fits right in–informing people about what is leisure. I spend a LOT of serious leisure time on this blog (and I just signed up in a bloggers group in my City, oy!). It’s all fun, though, hence “leisure.” Glad you liked the post and I wish you and your family a Happy Thanksgiving! I would never have guessed how much time blogging takes, but I never would have guessed how many lovely people I would have met had it not been for blogging! After I finish Photography 101 I guess I need to look into Blogging 101! I feel like I have so much to learn. I know for me, blogging is both leisure and hard work… sometimes one, sometimes the other – often both. I started a little over a year ago thinking that I’d post a couple times a week; now it’s more like a couple of times a month (except for the daily photo challenges). I’m just so busy now that I’m retired (you too will be saying that soon)! Right back atcha, Sandi! Blogging 101 may have created monsters out of some of us!! And I agree that Blogging 101 was an amazing way to learn more and meet fellow bloggers! Happy Thanksgiving by the way! Oh, thank you, Lia! Thanks for all the likes and comments! And Happy Thanksgiving to you! !